Goodbye to Whatsapp! Register now for free on the jabbers.one XMPP server and communicate securely with your friends and acquaintances! Projectwebsite from instagib community founded in 2016. 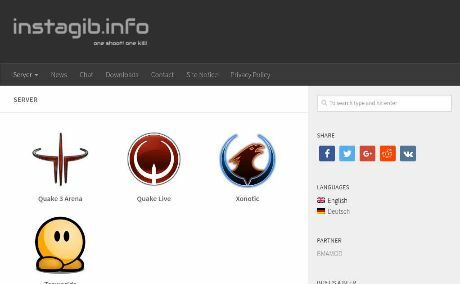 This community manage many multiplayer gameservers like Quake 1, 2, 3 and 4, Unreal Tournament, Warsow, Xonotic and Teaworlds. Also there will be in future many other game servers like Quake Live, Counter Strike, Day of Defeat and Team Fortress. Founded in 2004 known under <666> mod, but no public download. In 2006 changed modname to BMA with public download. This mod is primarily intended to be used on 'HOOK' (offhandhook, grapple, lightning robe ...) servers with gametypes FFA, TDM, CTF and 1v1. It requires NO client installation except standard Quake III 1.11 - 1.16 installation. IDSoftware switched off again their quake 3 masterserver in 2016. Players cant see anymore servers in the quake 3 ingame browser. As a solution, we, the BMA Team are running now our own masterserver. Players can see again servers in the quake 3 ingame browser, that were added to our masterserver. 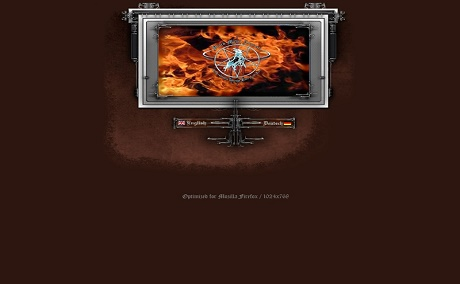 As as sidekick of <666> clan, i created my own clan in 2005 called BMA (BlackMetalAssault). Some old <666> members joined the clan, to hide their identity. One year later the serverside mod BMA goes public. This clan was founded by Snoop in 2004. In 2005 i joined the <666> clan. It is and was one of the well-known hook clans in quake 3 arena 1.16. I organized famous tournament like BOTD, managed servers, updated the website and ofcourse played games for the <666> clan. © 2016 - 2019 huxxer.de. All rights reserved.